San Francisco stuntwoman Darcy Lott is an expert at creating the illusion of danger, living in a tightly controlled universe in which all but the most disastrous mistakes can be reset and reshot. But when her lawyer brother Gary leans on her to entertain a mysterious client, she enters a world without second takes. 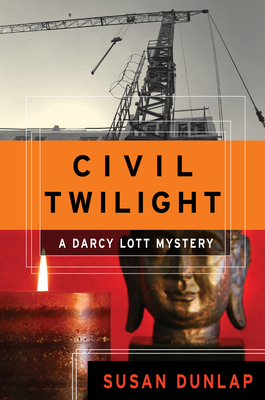 Darcy takes an instant liking to the client -- Karen Johnson is fearless, smart, and interested in the Zen Buddhism that Darcy practices. Still, there is something strange about her. She claims to be getting a divorce, but why would she hire Gary, who never handles divorce cases? And why does he insist on hiding the case from their older brother, John, a police officer? When Karen vanishes from the city as suddenly as she appeared, Darcy fears she will never understand. Meanwhile, San Francisco is struck by a grisly murder, and the primary suspect is Darcy's older brother John. With her family forced into hiding, Darcy is left alone with no one to trust. Determined to save her brother, she delves deep into the victim's past, exposing shocking truths about Karen and uncovering a decades-old mystery more disturbing than the murder itself.